A wedding is something that comes only once in a woman’s life and she just wishes to look the prettiest on that day. An Indian bride just cannot make any mistake on this day related to her makeup and hairstyle. She visits parlour but sometimes fails to get the desired result. 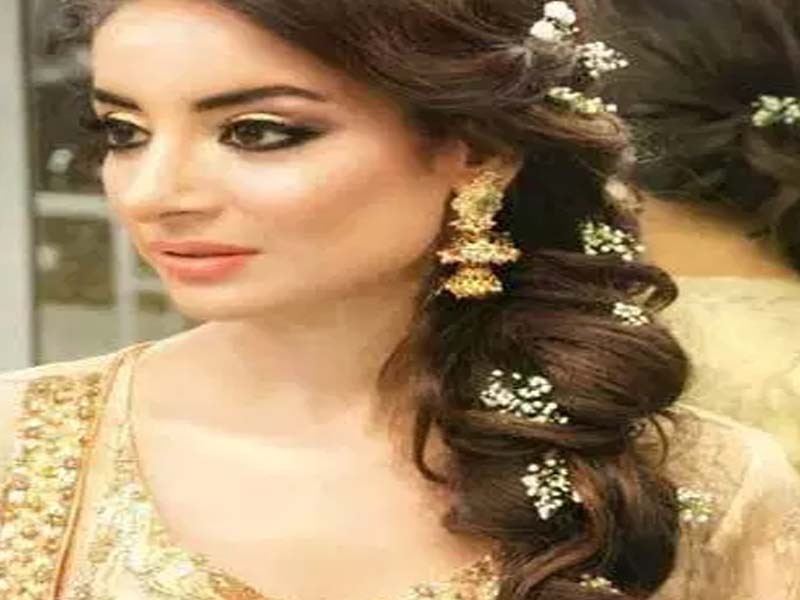 She knows that every guest’s look will be entirely on the bride and the groom throughout the entire marriage ceremony and so she has to just take care of several things when it comes to Indian beauty. 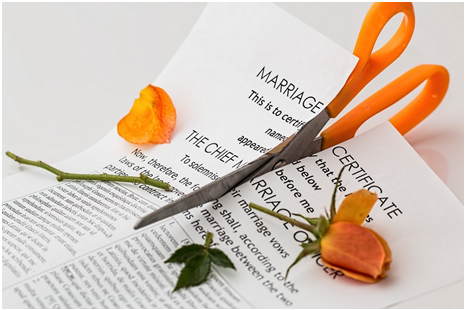 The most difficult part of this day is to make a perfect hairstyle that would just look different and attractive on the Indian outfit as well as the bride’s personality. Braid is a hairstyle that originated first in India and gradually was adopted by people in diverse regions of the world. 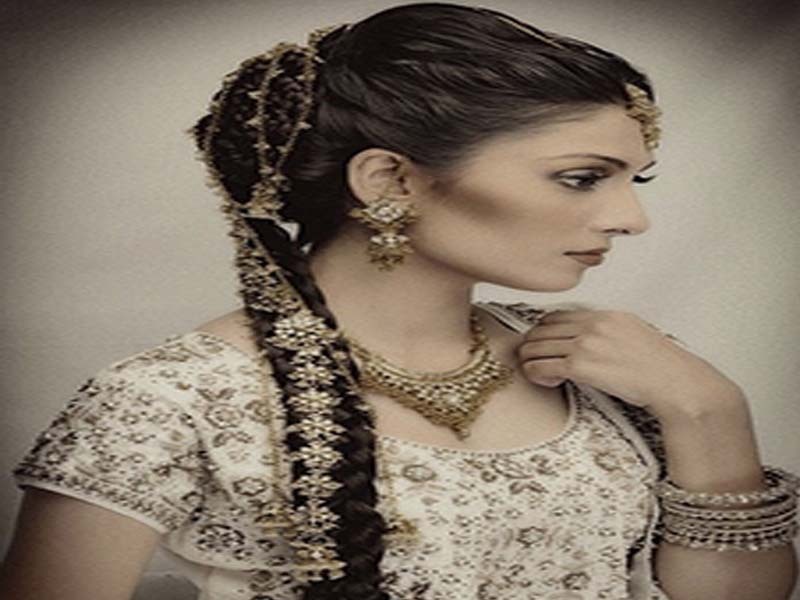 It reflects the actual Indian beauty of a bride and is one of the most adopted Indian wedding hairstyles for long hair. 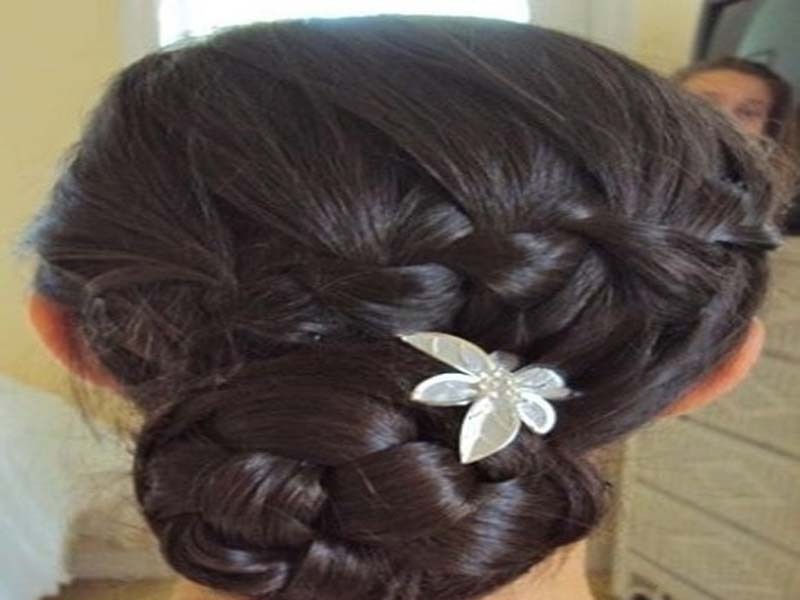 This is another popular wedding hairstyle for long hair. It is very similar to a normal braid but the only difference in this one is that you don’t have to tighten the braid. Just let them loose and let the hair come out and protrude a bit. Who said that puffs are only for party? They look good even during Indian weddings and gives a classy appearance to the bride. Just make a fluffy puff and let your hair open. 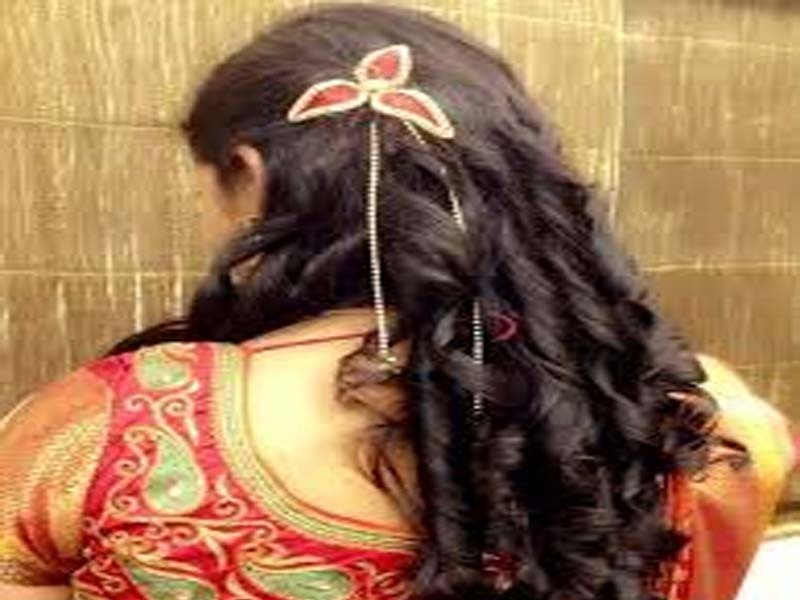 It is a very apt Indian wedding hairstyle for medium hair. I’m sure most of you must be familiar with this wedding hairstyle. In this, you just have to make a braid and roll it in the shape of a bun. Make it a little loose and pin it up at the end. You can also stick flowers to make the hairstyle look more attractive. Side French is one of the best Indian wedding hairstyles for short hair. It looks extremely adorable on Indian brides. You just have to make a side braid (French braid) and pin them up like you pin your hair sideways and let your hair open. Isn’t it a perfect wedding hairstyle for short hair? If you want a modern yet simple hairstyle for your wedding then you can try this one. You just need a curler for this. 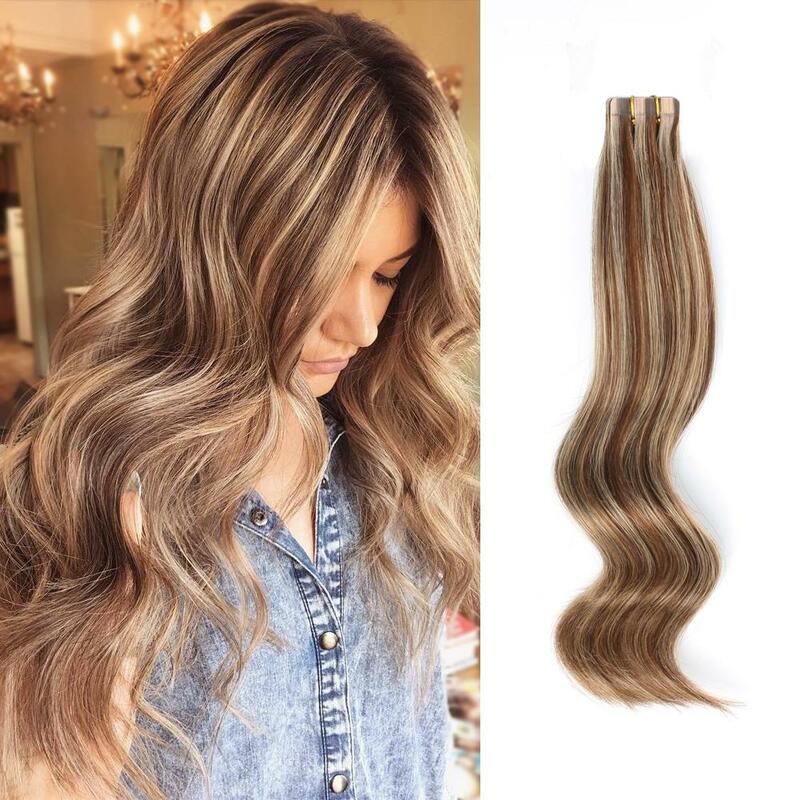 Curl up your hair strands and tie them up altogether at the back. Simple, isn’t it? So girls, which hairstyle would you adopt for your wedding? Please comment your choice and the reason of your choice below.